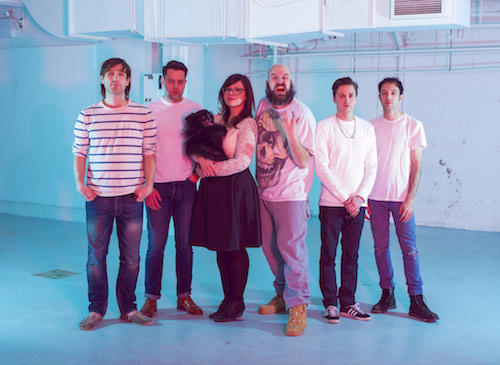 On June 3, Matador will be releasing the new album from Toronto’s FUCKED UP, ‘Glass Boys’ on LP, compact disc and digital download. Fucked Up’s ‘Chemistry Of Common Life’ (2008 and ‘David Comes To Life’ (2011) were as conceptually ambitious as any rock albums in recent memory ; ‘Glass Boys’ while a more personal work in terms of subject matter, is the result of 13 months spent in a succession of U.S. and Canadian studios with the assistance of Bill Skibbe and Leon Taheny. But while we’re tempted to make a very big deal about how amazing the recording is (the guitar trio of Mike Haliechuk, Ben Cook, and Josh Zucker have delivered their most powerful & multi-dimensional performances to date), the real story’s in the songs : with vocalist Damian Abraham leaving-it-all-on-the-floor (apologies for the sports analogy), Fucked Up are tackling tougher questions about themselves, their lives and where this is all going. 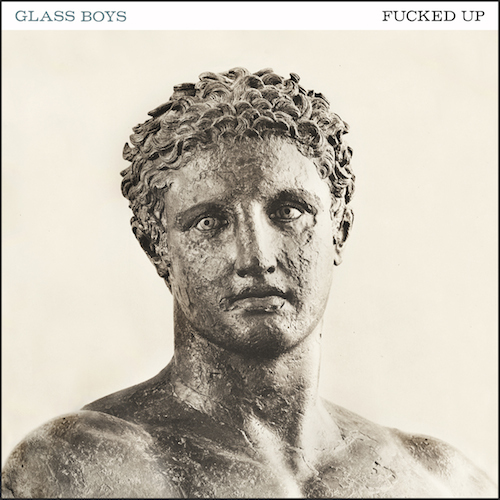 Our modestly compensated blurb author called ‘Glass Boys’, “a blazing, titanic, ultimately triumphant rock album…a heart-expanding, life-affirming piece of work.” I still need to check what WebMD says about heart-expansion, but other than that, I think he nailed it. Preorder the album now from the Matador Store. A limited double vinyl edition of the album available through the Matador store and independent retailers will include a bonus LP that features Jonah Falco’s half-time drums ( two separate drum tracks were recorded for ‘Glass Boys’, one of them in half-time — if that sounds kinda complex, wait ’til you hear both at the same time). We’re also offering ‘Glass Boys’ in the format of your choice with a limited edition tote bag, available exclusively from The Matador Store.